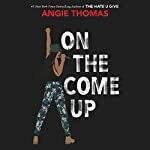 Interview: Listen in as Angie Thomas tells us why she absolutely trusted narrator Bahni Turpin again, this time with all the rapping in On The Come Up, and how Thomas made her follow-up to The Hate U Give another gem that grapples with important social issues without being an issues book. [Bahni Turpin] really brought it and she gave her style and her soul and heart to it. I'm so thankful for it. She's a phenomenal narrator. With bills piling up and homelessness staring her family down, Bri no longer just wants to make it - she has to make it. Angie Thomas’ highly anticipated 2nd novel, On the Come Up, is every bit as brilliant as her best-selling, award-winning 1st novel, The Hate U Give. 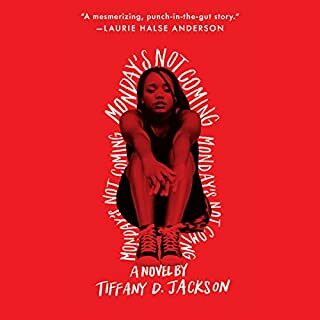 Influenced by events in her own life, Thomas focuses on themes such as poverty, racism, family, friends, chasing your dreams, standing up for what's right, and never giving up. Following in the footsteps of her late father, an underground rap legend, 16-year-old Bri has a big name to live up to. Battling issues at home, school, and around the neighborhood, does this aspiring rapper have what it takes to make it to the top, without losing herself in the process? 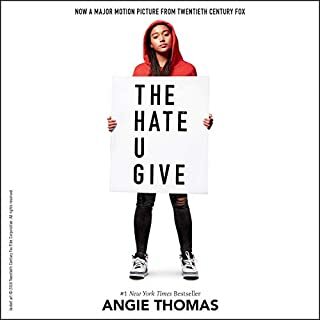 In addition to the intense and emotional storyline, Angie Thomas’ character development, use of dialogue, and real-life conflicts - both external and internal - make On the Come Up an engaging, page-turner for readers of all ages, genders, races, and backgrounds. 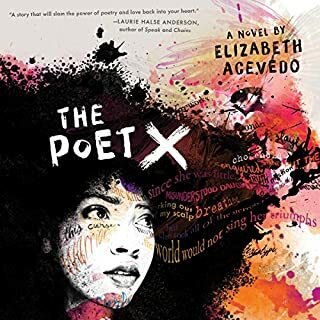 People...the struggle is real, and Angie Thomas does an amazing job bringing this to life!! Set in Garden Heights, readers of T.H.U.G. will be immediately drawn in to the familiar surroundings. 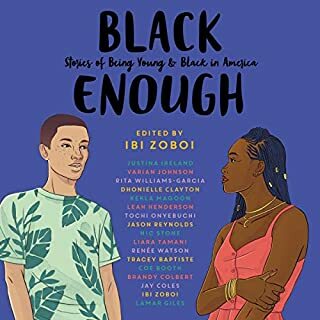 As a 20th year high school teacher of urban teens, I cannot even begin to explain how thankful I am for books like this one. Exposing my students to books with strong-minded, inspiring characters and settings that mirror their own lives, has not been an easy task over the years. If we want kids to become readers and lifelong learners, seeing a reflection of themselves, their families, and the places in which they live is a must! Without this, no connection can be made, no learning can take place, and no growth will occur. Thank you, Ms. Thomas, for recognizing this. Your writing, your characters, and the true-to-life events inspire kids everywhere and let them know they matter. 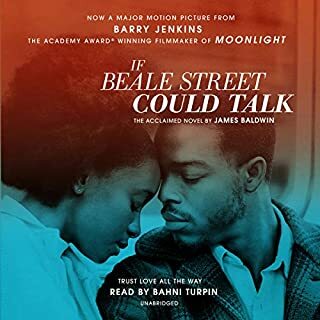 The audiobook narration by Bahni Turpin is excellent. Goosebumps!! Her performance in On the Come Up is equally outstanding to that of T.H.U.G. She masterfully gives a voice to each character and brings the text to life as the plot unfolds. And, yes, she raps!! If you have never listened to her perform as a narrator, you are missing out. She's the real deal, a sure thing, a must-listen! Bravo! Without hesitation, I rate On the Come Up by Angie Thomas, narrated by Bahni Turpin 5 out of 5 stars across the board. The plot is engaging, the events and characters are real, and the message is inspiring. With the utmost confidence, I recommend this novel to everyone. Yes, everyone. From those who live a life of poverty to those with a dream, On the Come Up is a book that will stick with you for the long haul as you journey through life. 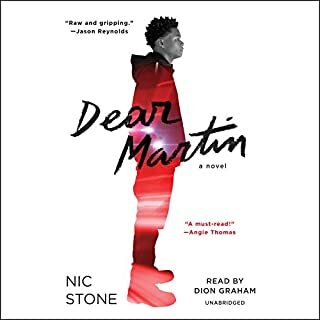 Whenever an author has a brilliant debut (as Angie Thomas did with The Hate U Give—our 2017 Audiobook of the Year), I always have a bit of apprehension when approaching their sophomore effort. Thankfully, yet unsurprisingly, On the Come Up is every bit as searing and stunning as its predecessor. Thomas takes us back to the Garden where sixteen-year-old Bri is trying to make it as a rapper, while also navigating high school, a complex family life, and the lingering aftermath of the recent murder of a local high school student by a police officer (THUG fans—this will be the only nod you see to our other beloved Thomas characters). The combination of Angie Thomas and Bahni Turpin is, quite frankly, genius. Hearing Turpin rap Thomas’ lyrics may be my favorite listening moment of all time. Turpin inhabits these characters, to the point that I visibly startled when she began to read the credits. I thought it was somebody else entirely. Thomas doesn’t shy away from hard topics, while also masterfully maintaining the careless and sometimes selfish POV of a teenager. The friendships are authentic, the fears and dreams relatable, and the desire to be the person to make your family feel secure universal. The novel is a cultural snapshot for 2019, and we’re only 36 days in. Brace yourselves listeners, this is the book I’m going to be recommending over and over again this year. I didn’t want to stop listening. You are immersed into the story from the first words spoken. Enjoyable and a great listen. The reader did an excellent job with the characters. All around joy from start to finish. I was eagerly awaiting 'On The Come Up' and listened to it every chance I got until it was finished. The story takes place in the same neighbourhood as 'The Hate U GIve' and even references the riots that happened there. Bree is a sixteen year old aspiring rapper who does well at 'a battle.' However, her words are misconstrued. She quickly gets a following on the internet, and people are mistaking her words for her sounding like a 'thug' or 'hoodlum.' We hear and feel the struggles of families in the projects who face gangs and pressure to join gangs every day. There are a few poignant lessons in Thomas' new novel but it didn't blow me away like 'The Hate U Give.' Definitely worth a credit and a listen though. So many life lessons. Many topics to discuss with your children. It truly takes a village. Encourage communication with children, it makes for better adults. this book is exciting and fun with some twist and turns on the way.Garden Hights has my heart! Have you ever finished a book and been left with goosebumps? That’s how this book left me feeling. I laughed out loud at certain lines, I felt sick with dread at some points, I wanted to scream in frustration and I wanted to punch my fist in the air in solidarity. Bri feels so real and her situation- school, family life, friendships, neighborhood, socio economic situation, etc. are true for so many POC in our nation. This is ultimately a story about figuring out who you are and finding your voice. I absolutely loved it, and I think it’s an important story that need to be read. Also, the narration is absolutely on point!! This book was good. I love the authors ability to make the reader FEEL so many different emotions as you follow the characters. I do feel that ‘The Hate You Give’ was so amazing and doesn’t compare with this book. Angie did her thing again and Bahni Turpin is the best narrator in the game. This book had me from beginning to end. I found myself getting teary eyed during various parts of the book. Connecting with the character in the anxiety that comes from living in an unstable home environment intensified by drug addiction and poverty. if you read The Hate U Give, you will absolutely love this book. if you are new to the author, you will not be disappointed! Bri and her family reminds us that living your dreams will not always be easy but it is necessary to continue to fight for them!